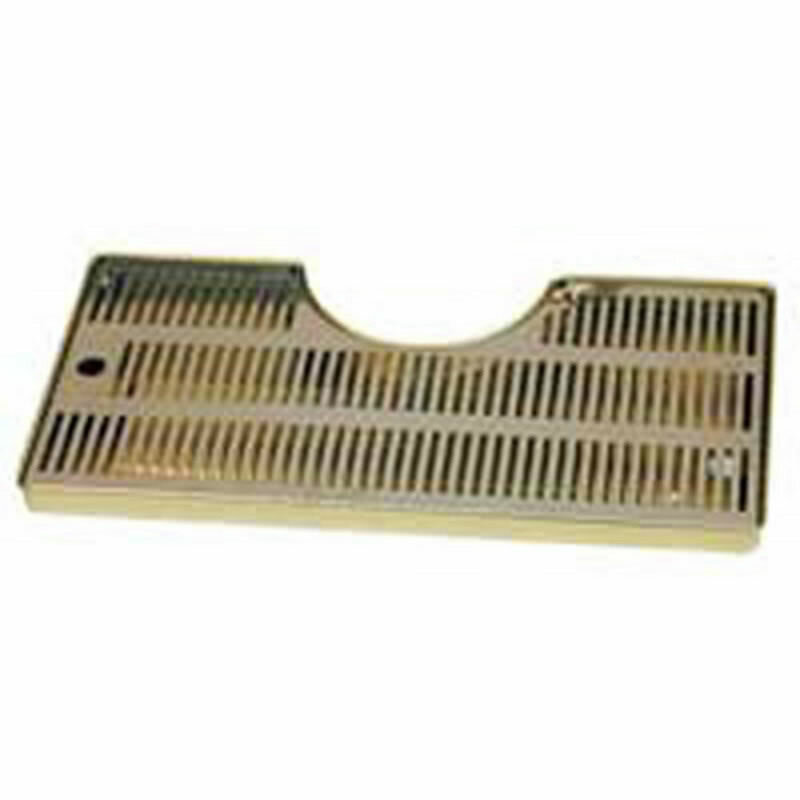 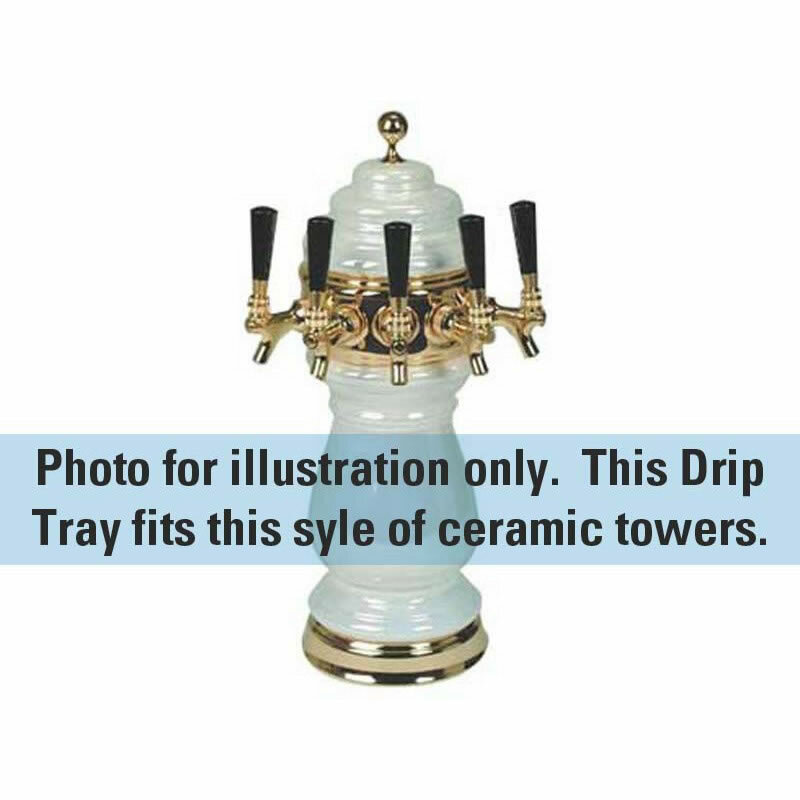 This Drip Tray with cutout mounts to any counter or bar top around Ceramic or Mushroom style draft beer towers to catch drips from your draft beer faucets. 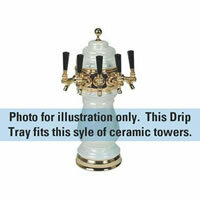 See photo for example of what type of draft beer towers this drip tray works with. Note: This model comes with a black plastic grate, not stainless steel like in picture.